I wear a couple of different hats: 1. 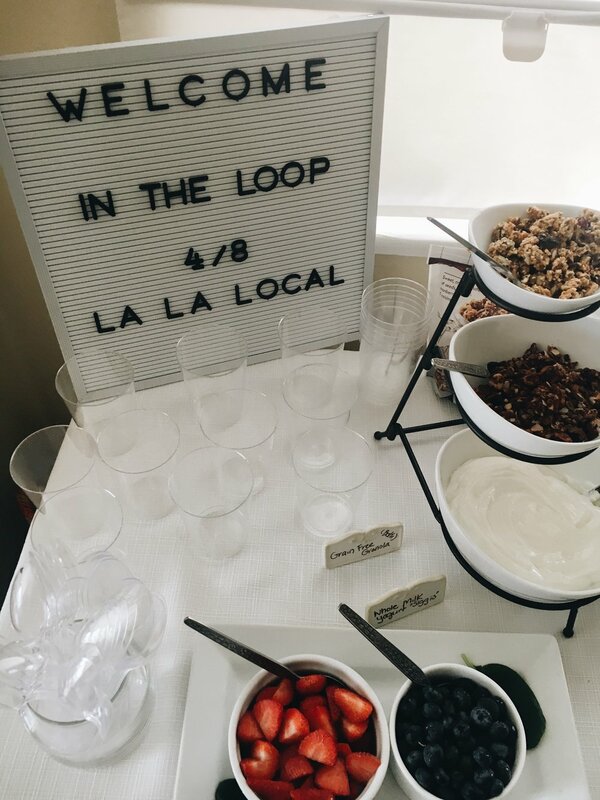 Founder of La La Local - A LA lifestyle and travel website helping Angelinos and visitors explore and experience LA through a local lens while building community and connections locally through LA based events, neighborhood guides, and more! 2. I'm a freelance sustainability specialist helping brands/retailers/small businesses implement socially responsible programs by protecting our planet and people while building value for the businesses we work for and communities we impact. EVENT PLANNING + MARKETING (workshops, seminars, etc.) - This includes everything from vendors, communications, registration, and facilitation to speaking/hosting, and curating the event. I specialize in small gatherings, meetings, and workshops with a focus around small,local businesses and solo-preneurs. SUSTAINABILITY/ETHICAL SOURCING CONSULTING - I love helping advise and communicate brands'/businesses' efforts around sustainability and/or ethical practices. Whether you're looking to see how you can run a more sustainably business or what social impact projects you can coordinate or contribute to as part of your mission, I'm here to help! Having advised and consulted for various Fortune 500 companies, I'm keen to do the same for small businesses and local brands. MASTER COMMUNITY BUILDER - I'm a purpose driven connector with a passion for bringing people together, reaching out, and seeking partnerships and collaborations for my business and for my clients that make sense and help grow authentic relationships. - Sustainability research/writing/editing/review of copy or messaging $200 - Includes 1 Round of Review + Edits of written copy by client and a 30 min. call to go over edits/answer questions.